The safety and efficacy of intraoperative chemotherapy in colorectal cancer have not yet been extensively investigated. This randomized control trial was designed to compare the safety and efficacy of intraoperative chemotherapy in combination with surgical resection to those of traditional surgical resection alone. 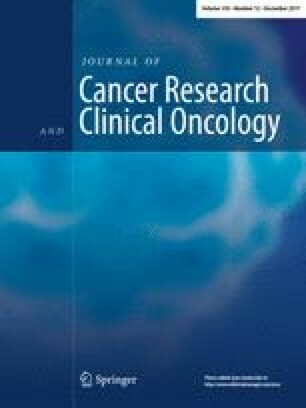 From January 2011 to January 2016, 696 colorectal cancer patients were enrolled in this study: 341 patients were randomly assigned to the intraoperative chemotherapy, which consist of portal vein chemotherapy, intraluminal chemotherapy and intraperitoneal chemotherapy, plus surgery group, whereas 344 patients were randomized to the control group to undergo surgery alone. Eleven patients withdrew consent. Intraoperative chemotherapy did not increase the rate of surgical complications, and no severe chemotherapy-associated side effects were observed. Four patients in each of the intraoperative chemotherapy and the control groups experienced anastomotic leakage and underwent a second operation (1.2 vs. 1.2%, P = 0.99). There were no deaths within 90 days after surgery in the chemotherapy group, whereas one patient died in the control group. Intraoperative chemotherapy did not decrease the rate of patients who received postoperative chemotherapy between the intraoperative group and control group (29.3 vs. 30.2%, P = 0.795). Intraoperative chemotherapy can be safely performed during colorectal surgery; however, follow-up is necessary for a better assessment of its efficacy. Rong-xin Zhang, Jun-zhong Lin and Jian Lei contributed equally to this work. We would like to thank Dr. Zhi-tao Xiao and Dr. Yang Zhao for collecting clinical data. Thanks are due to Prof. J.Q. Huang in the First Affiliated Hospital of Guangzhou Medical University for the management of patients. This work was supported by Sun Yat-sen University 5010 research Fund and the National Natural Science Foundation of China (NO. 81502459). Zhi-zhong Pan, Xiao-jun Wu, De-sen Wan, and Jian Lei conceived and supervised this study and revised the manuscript. Rong-xin Zhang, Qing Liu, and Jun-zhong Lin interpreted the data, performed statistical analyses, and drafted the manuscript. Gong Chen, Li-ren Li, Zhen-hai Lu, Pei-rong Ding, Jiong-qiang Huang, Wen-hao Zhou, Wen-hua Fan, Ling-heng Kong, Fu-long Wang, Cong Li, Wu Jiang, and Chuan-feng Ke were responsible for treating patients and performing surgery resection. All authors read and approved the final manuscript. This article was approved by the Sun Yat-sen University Cancer Center ethic committee.